Swiss conglomerate Datwyler today said that it was still considering its options after its $795 million bid for Raspberry Pi manufacturer Premier Farnell was trumped by a $900 million offer from Avnet Inc late last month. In an earnings release issued today, Datwyler emphasized that the process isn’t over, and that the prospect of acquiring the U.K.-based electronics supply company is still a highly attractive one. “Should the offer proceed, it would turn Datwyler into a leading high-service electronic components distributor with a combined annual revenue of some [$1.85 billion],” the release stated. Furthermore, the company stands to incur some transaction costs, whether its pursuit of Premier Farnell is successful or not – anywhere from $40 million to $49 million, according to Datwyler’s statement. The drive by both Avnet and Datwyler to acquire Premier Farnell has been driven at least in part by the fallout from Great Britain’s decision to exit the European Union earlier this year – Brexit has caused a sharp devaluation of the British Pound sterling, meaning that it’s easier for overseas players to buy up businesses in the U.K., since the effective price is lower. Datwyler didn’t give a time frame for a higher bid, saying only that a decision would be announced “in due course.” Shares in Premier Farnell went from about $141 in June, before Datwyler’s initial bid was announced, up to $212 after. Avnet’s counter-offer pushed the price higher still, to nearly $250 at present. In any case, Raspberry Pi hobbyists might not have much to fear from the manufacturer’s acquisition. Raspberry Pi Foundation communications manager Helen Lynn told Network World that not much will change from a day-to-day standpoint. 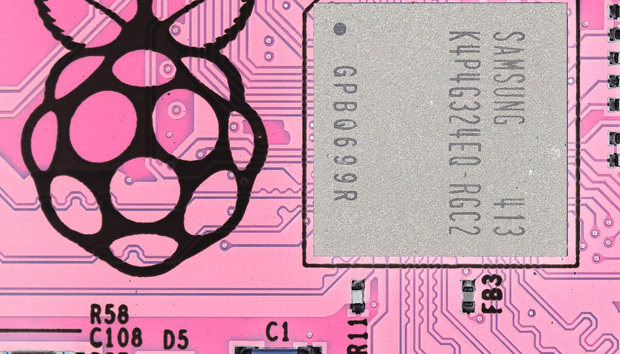 “We don't expect any significant change in our strong relationship with Premier Farnell as a result of this development, and neither do we anticipate that it will mean any changes for the community of Raspberry Pi learners and makers,” she said via email.